Regular dental care is an invaluable asset to your quality of life. Dentists do more than clean your teeth and fix your smile. They play a crucial role in the overall well-being of every single patient they see. One way dentists do this is by using x-rays to help them identify issues, plan a course of action, and follow-up on treatment. If you don’t mind going to the dentist, but you’re not a fan of taking x-rays, keep reading to discover 5 awesome benefits of dental x-rays. Have you ever broken a bone then watched the progress of its healing with regular x-rays? It’s pretty cool to see, isn’t it? In a similar way, dentists use x-rays to track healthy tooth growth and development. They can do this with their own eyes too, but only to a certain extent. Advanced medical equipment helps them assess the situation from all angles. With just one set of x-rays, a dentist can see if your teeth are prone to crowding or tooth gaping. From there, they may consult with you to receive some sort of orthodontic treatment. The next benefit of dental x-rays worth mentioning is to identify decay. This is a serious matter worth treating as soon as possible. The growth of decay in your mouth can lead to gum disease, rotten teeth, or other health issues in the body. If you want to keep bacteria from spreading, you need to catch it in action right away. You need to allow the dentist to take the necessary x-rays. Maybe it’s too late for you to identify the presence of dental decay early on. Maybe you’re already suffering from bleeding or inflamed gums and wondering what to do about it. The best thing you can do is call your dentist who will likely require x-rays to aid in determining the severity of your potential Gum Disease. Most dentists can identify gum disease from a mile away. But, it’s only with an up-close look and support of x-rays that they can see the root of the problem and start planning a cure. It’s one thing to plan a course of action for dental treatment and another to see it through. As such, dentists often take follow-up x-rays to assure their work is complete. Some will even take x-rays at each stage of treatment to track progress. This may mean you have two or three sets of x-rays done or maybe even four or five. However many times you’re asked to take them, always comply. 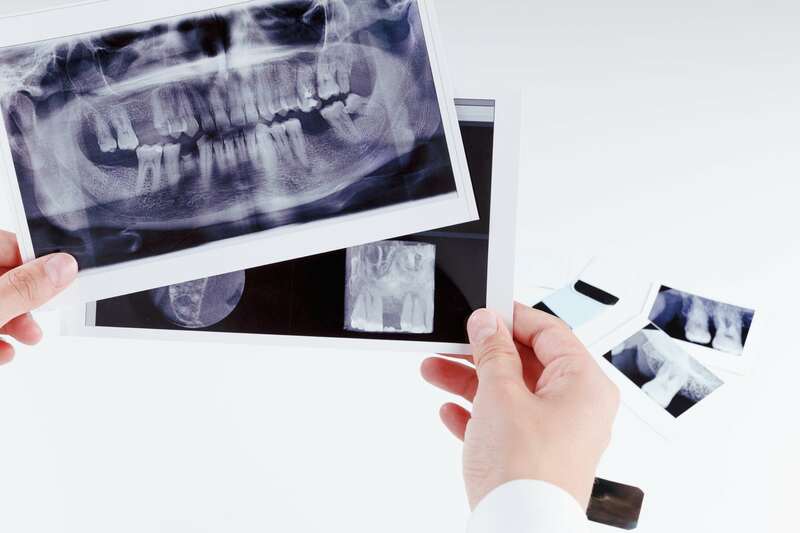 The more x-rays a dentist has to compare, the better they can do their job and bring you back to good health. Speaking of bringing you to good health, at the end of the day, a dentist can’t do this if you don’t let them. It’s not enough to go in for cleanings and keep up with flossing at home. You’re going to have to take x-rays from time to time to make sure your dental health is as good as you think it is. Not to mention, if something is wrong, you’ll be glad you took the x-rays sooner rather than later. Dental x-rays are nothing to fear or cause a fuss over. They’re incredibly safe, and although a little uncomfortable, quick to do when you follow directions. The most important rule of going to the dentist, though, is to actually go! If it’s been a while since you sat in the dentist’s chair and you need to make an appointment, click here to set one up with us right away.